Thai Sakura trees are currently adding vibrant colour hues to the mountains of northern Thailand and enticing thousands of people to visit. 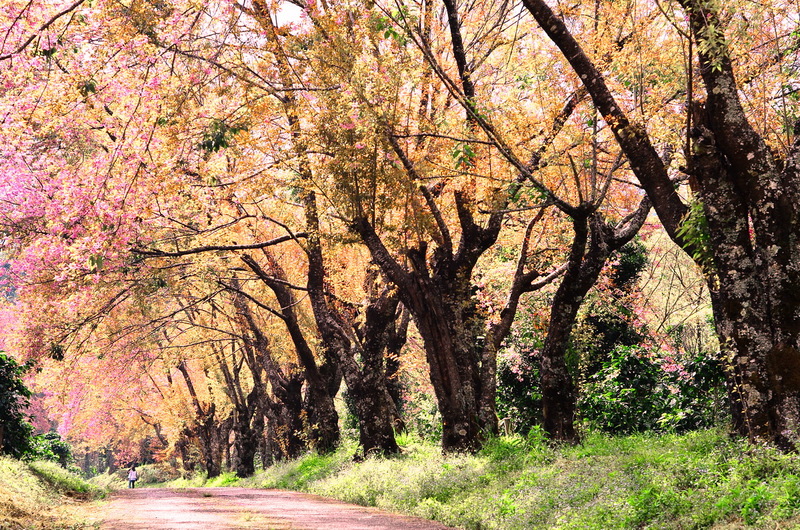 Thailand’s own version of the famed Japanese sakura tree is found in locations across the nation’s northern provinces. 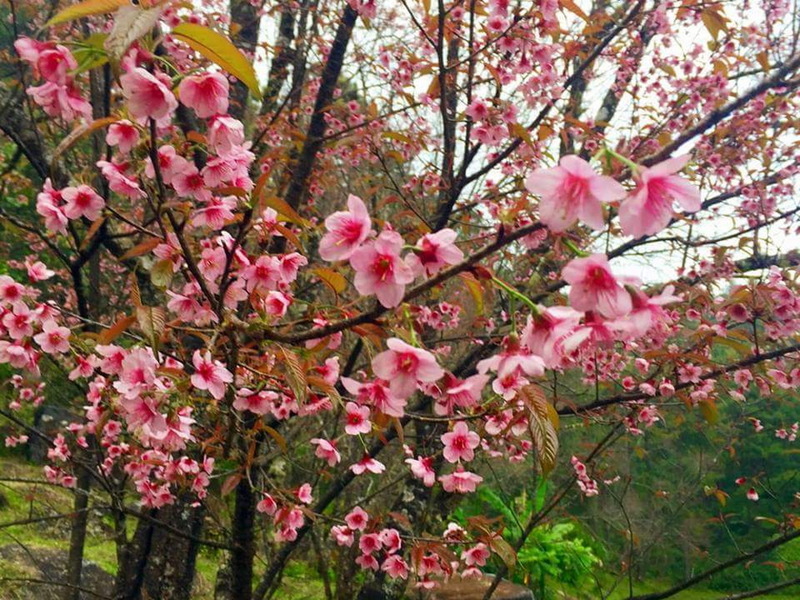 Thai Sakura was introduced more than 15 years to Thailand’s North. Spreading out in the mountain ranges of northern province. Now Thais are benefiting from their beauty. Thai Sakura trees have drawn crowds of flower-lovers, romantic weekenders and small-time photographer to Chiang Mai to admire their puffy pink blooms. 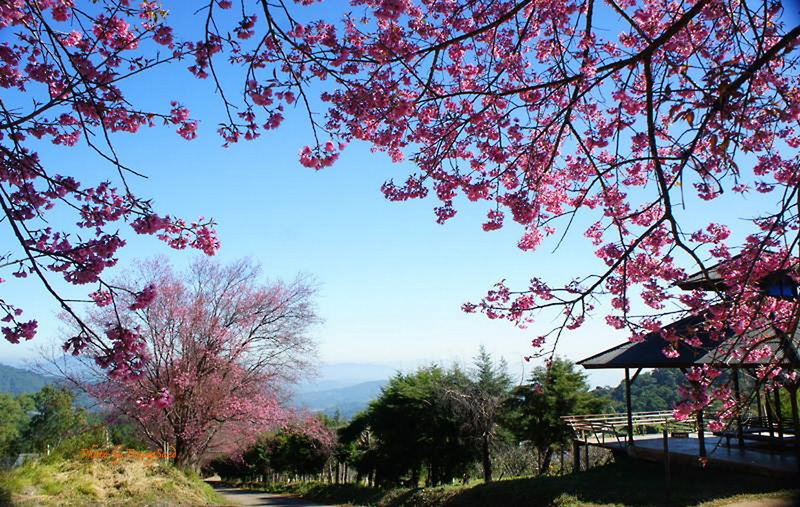 There are several good places to go see the Thai Sakura in Chiang Mai and Chiang Rai, including Doi Chaang, Doi Wawee, and Doi Mae Salong mountains, which are all located in Chiang Rai province. But the best place to go see them as a day trip from Chiang Mai is Khun Wang. The Khun Wang Royal Project is located in the mountains near Doi Inthanon National Park about 60km southwest of Chiang Mai. Various activities has been installed by the Royal Project that have given villagers profitable work and a better livelihood. The Khun Wang project is also home to a research center devoted to studying the uses of macadamia nuts. Another place in full bloom is Khun Chang Khian, Khun Chang Khian is a tiny village way up on Doi Pui that you get to by driving up Doi Suthep mountain. 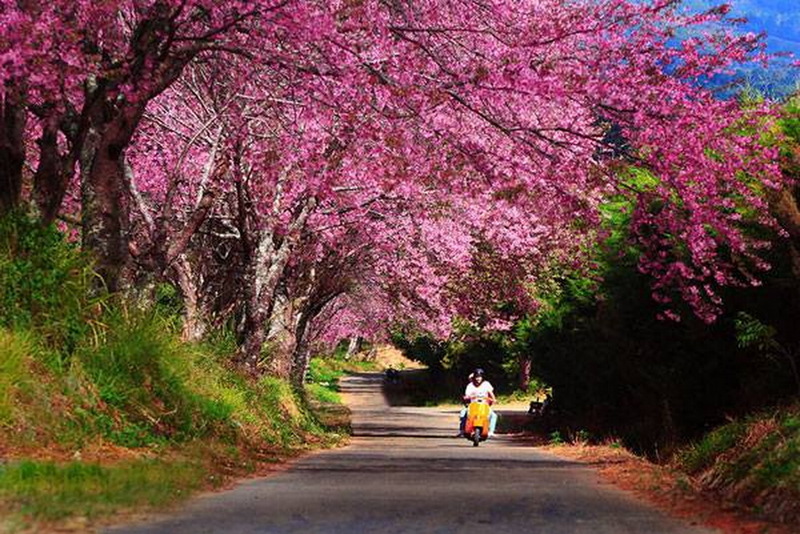 Every year in the middle of January to Febuary, Khun Wang’s hilly roads are a breathtaking pageantry of loveliness, as the Thai Sakura or local name Nang Rhraya Sua Khrong is bursting into the bloom. You’ll have to head up there now though if you want to witness the splendor like a flash in the pan, the blooms last only briefly after they peak. 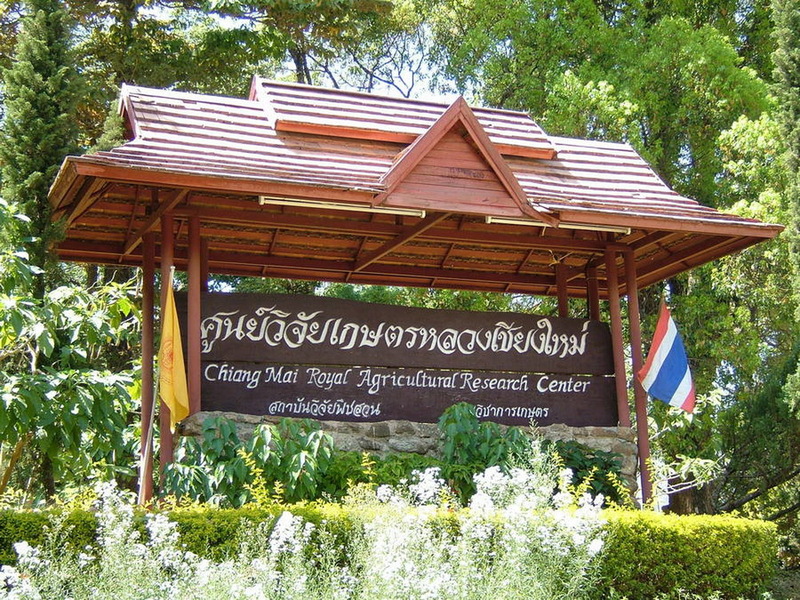 Khun Wang Royal Agricultural Research Centre about 90 kilometres from downtown Chiang Mai. 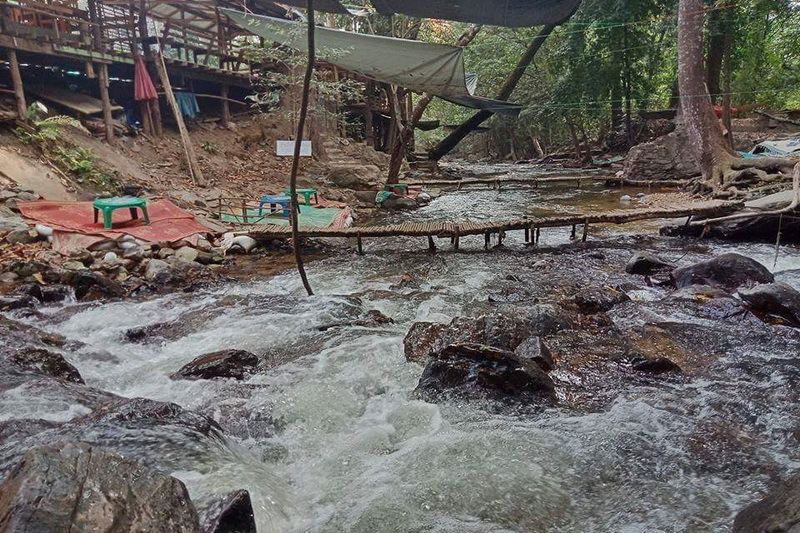 Tucked away beyond the high range of Doi Inthanon, the research centre studies cold-climate and high-altitude crops including Arabica coffee, macadamia nuts, peaches and flowers before passing on the knowledge to the hilltribe farmers. Here, where coffee plants and peach trees spread out as far as the eye can see, cherry trees line both sides of the path, snaking their way through the research centre. The leafless trees explode in pink-and-white blossoms, reminding even hardened souls of their first romantic moment. Their aged, bent and gnarly trunks and branches make a dramatic contrast with the young, fragile blossoms, one that can only be appreciated by walking beneath the floral canopy. 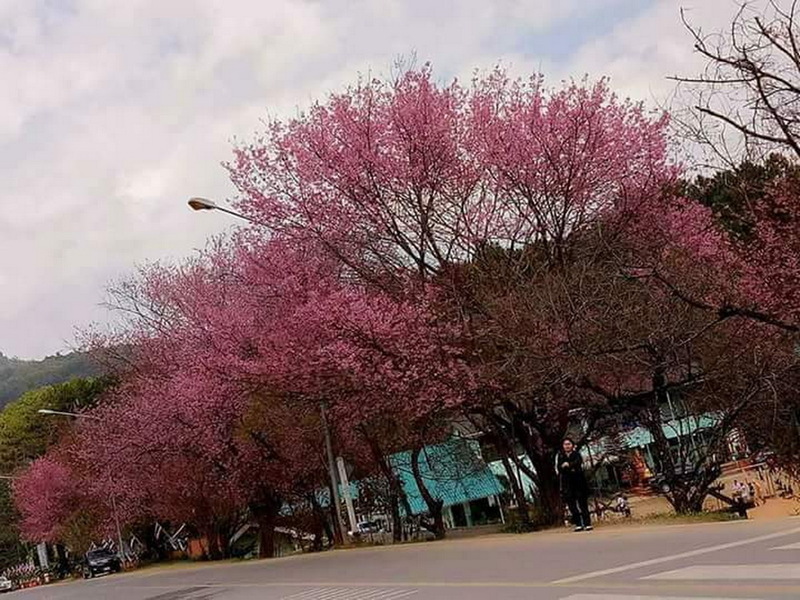 The best time to view the sakura at Khun Wang is in the middle of January, but as anyone who has lived in Japan knows, the timing of the cherry blossoms is difficult to predict and can change from year to year by several weeks. 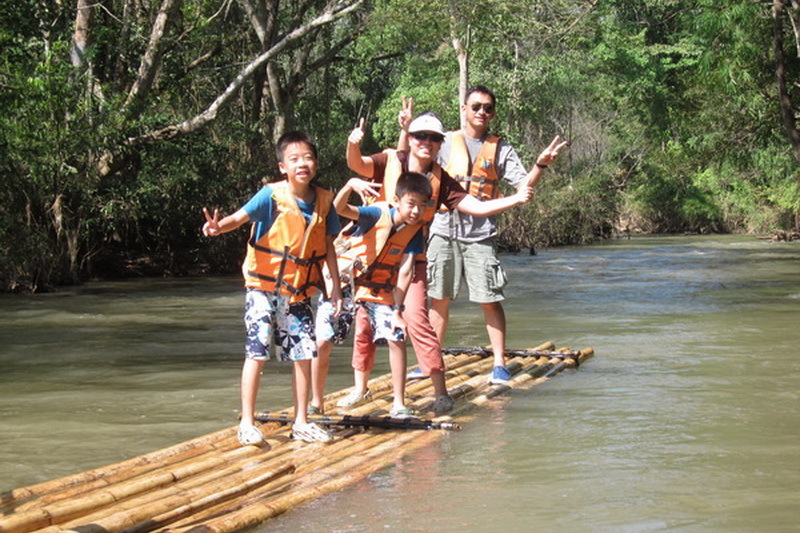 Visitors can choose for the second route, the first route of Chiang Mai. Sanpathong district Route No. 1013 to Amphoe Mae Wang. A place to Mae Will turn left, turn left. 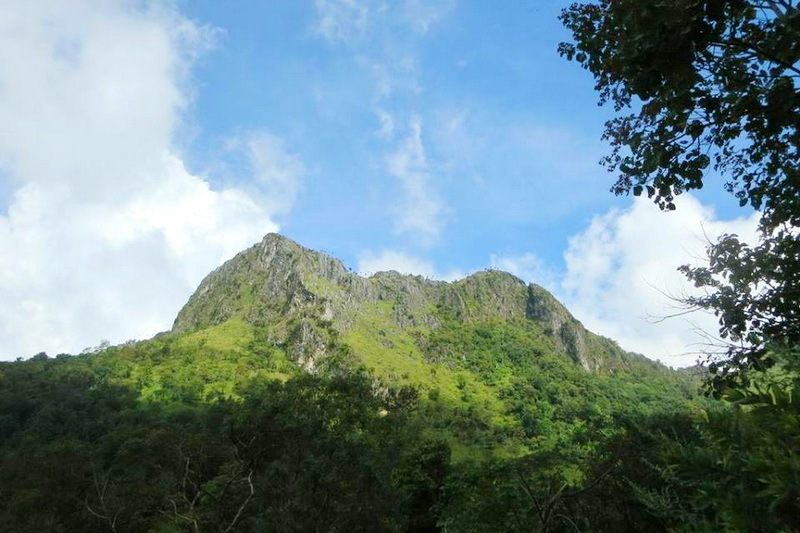 Then it traverses the path up the mountain for about 40 kilometers towards the end of this path is a road about 5 kilometers Din rainy require four wheel drive. The total distance of this route, 86 kilometers and takes about 1.5 hours from the start. 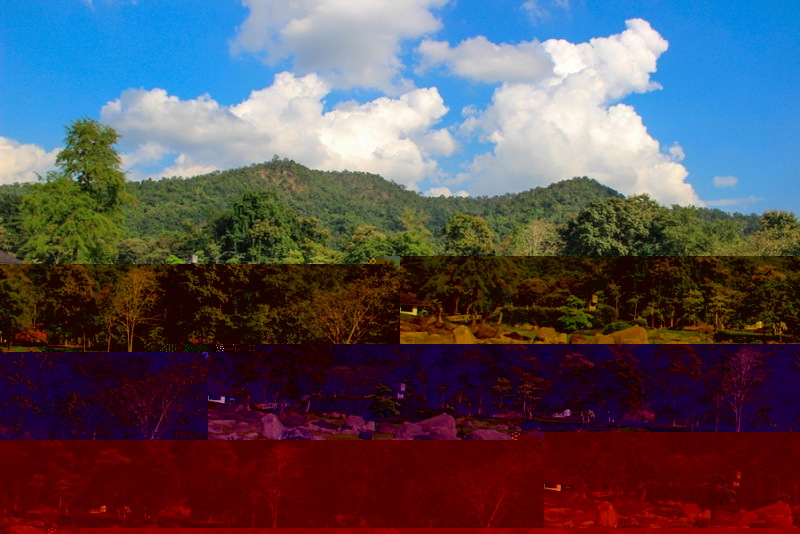 From Chiang Mai to Chom Thong district before. Second route, Turn right on Highway 1009 to Doi Inthanon. Until kilometer 31, turn right on an asphalt road for about 17 kilometers to the Doi Khun Wang Royal Agricultural Research Center, a total distance of 115 kilometers and takes about 2 hours. Khun Wang Royal Agricultural Research Center is open everyday from 8 a.m. to 4 p.m.